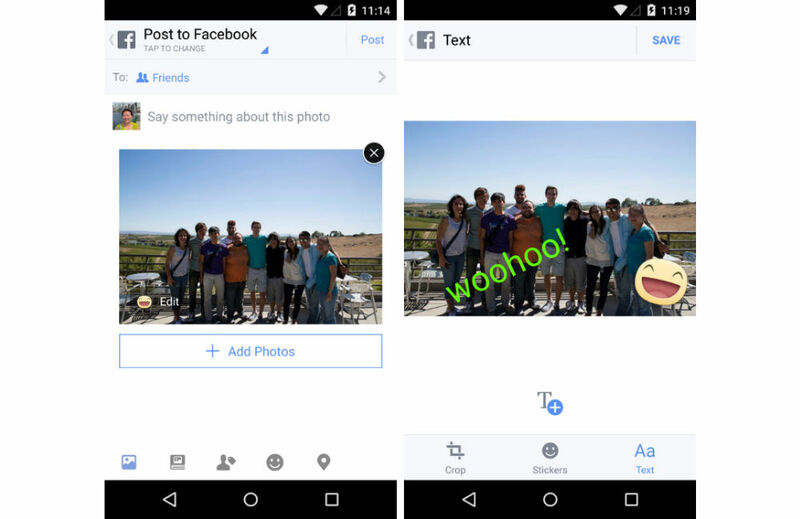 People seem to love decking their photos out with funny text and stickers, so now, Facebook is allowing you to get in on the fun through the official Facebook app and on the desktop. When you have a photo in your library, or are about to upload, the app allows you to “edit” the photo, which means you can apply custom text and silly stickers to the photo. Facebook states this is a suite of tools, so it’s possible the company has additional tools besides stickers and text. In order to use these tools, you will need the latest version of the Facebook app from Google Play.